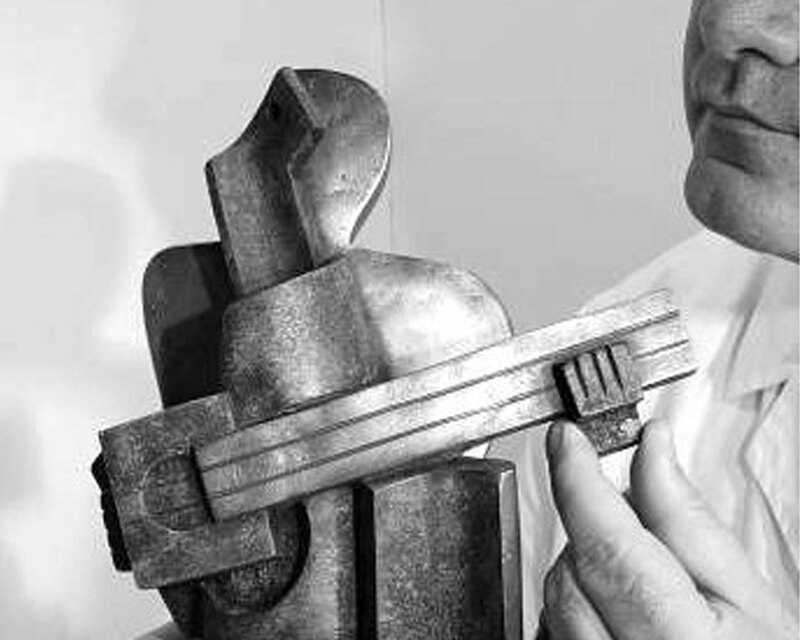 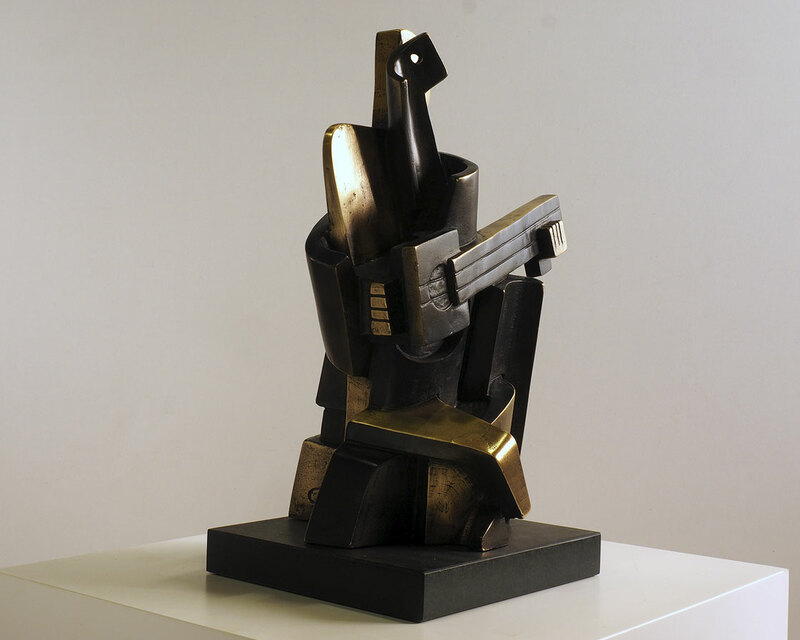 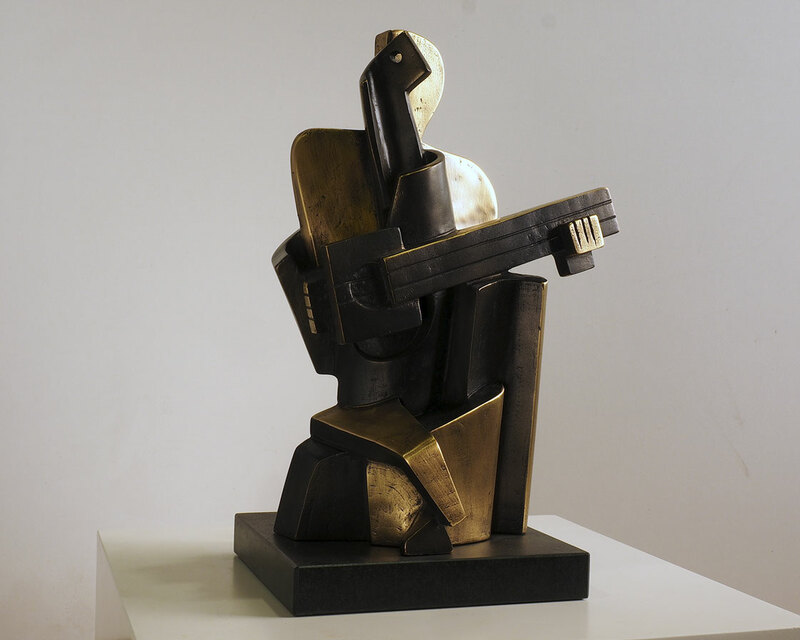 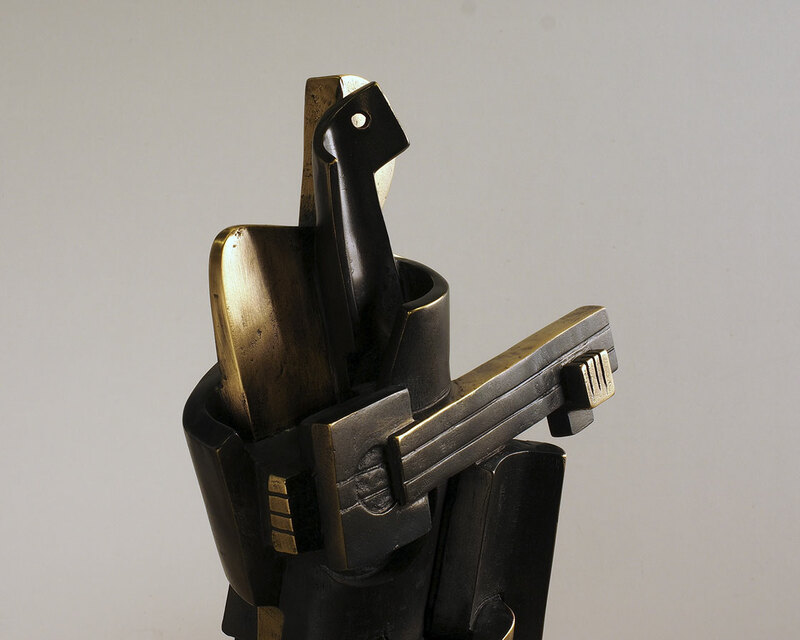 Guitarist Arlequin in bronze by the sculptor Miguel Guía. 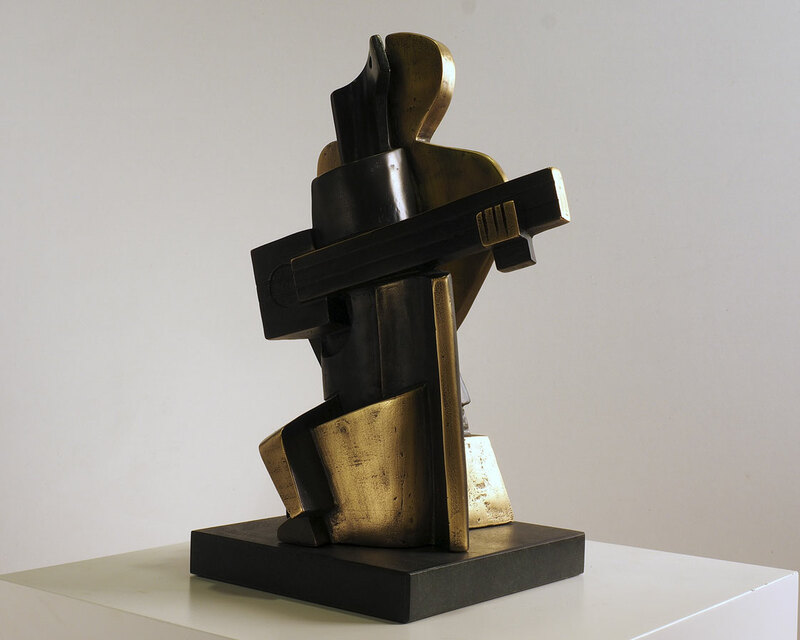 With great virtuosity, the artist creates this work by reducing the forms to planes, simplifying everything, reducing all to cubist forms and discovering a universe of spaces or planes. 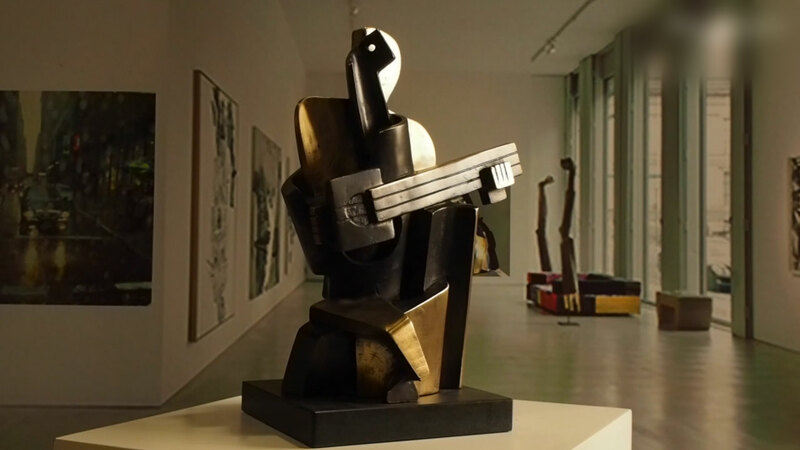 The repetition of music as a theme in the cubism of Juan Gris, Pablo Picasso, and Jacques Lipchitz makes Miguel Guía also use it to accentuate his admiration for the great masters.